I woke up at 6:30am and cursed Mekano Rental Car. I’d tried to pick up a car the day before but had a misunderstanding with the service driver and ended up arriving five minutes past closing. I’d left Fourn el Chebbeck with half an hour to spare but had ended up in the wrong part of Bourj Hammoud, stuck in traffic. The service driver and I were both sure the other was at fault and began a long and rather passive aggressive fight while the other passenger, a middle-aged Lebanese man, tried to mediate. He was eventually dropped off, and the service driver agreed (begrudgingly) to take me to my destination. I sat in the back seat as we inched forward in bumper to bumper traffic as the clock ticked closer to 7:00pm (closing time). I kept trying to call Mekano, but each time the line was busy. The service driver and I existed in a kind of stony silence, both blaming the other for our current predicament, him staring at the road, me flitting between the clock and my phone. I finally reached someone at 6:25pm and begged them to stay open; “I’m five minutes away please, can you just stay open?” I’d been in traffic for half an hour already and needed something to come out of it. The man on the other end at first refused, “We’re already closing”, then finally agreed. By the time I got off the phone, after some pretty intense pleading, the service driver seemed to have forgiven me, and we were somehow on the same page; he began rushing through the jammed cars, trying his very best to help me arrive on time. We pulled up at 7:04, I paid him 3,000 instead of the customary 2,000 ($2 instead of $1.33), and he sped off. When I walked up to the gate, however, it was closed. They had packed up and left. So now it was 6:30am the next morning, and I had woken up in time to take another service back to Mekano and pick up the car. I had an interview at 1:00pm in the Beqaa and two Spanish roommates wanted to tag along for the ride. Without traffic, we reached Mekano in 15 minutes and finished the paperwork in another ten. By 8:00am, we were on our way out of the parking lot in our Kia Picanto, and on our way to Bar Elias. We stopped for manoushe on our way down the Beirut-Damascus International Highway, took a pit stop at Tanaayel Lake, an eco-tourism site managed by the conservation NGO Arc-en-Ciel, and arrived in Bar Elias with an hour to spare before the interview. Bar Elias is the second largest town in the Zahle district, with a Lebanese population of around 60,000. 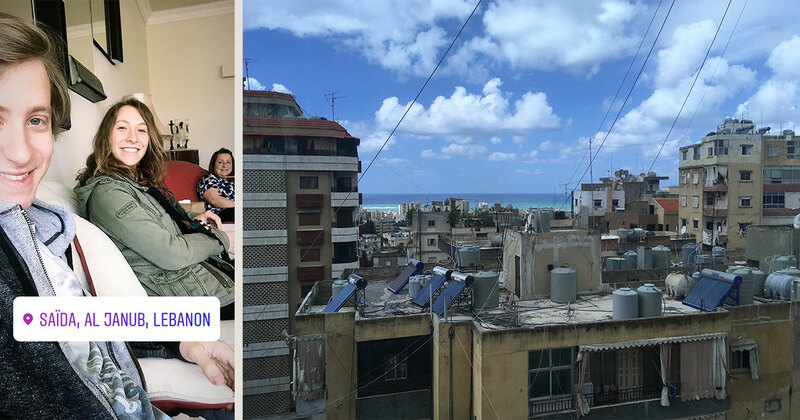 It is located approximately half way between Beirut and Damascus, and now is host to approximately 70,000 Syrian refugees (according to estimates from the mayor’s office). In all of my interviews with Beirut-based NGOs working in the Beqaa, I’d been hearing about Bar Elias and the challenges in absorbing such a huge number of newcomers, especially in the field of education. This, however, was my first interview on site. I didn’t have any particular reason to rush back to Beirut, and I figured he’d get here when he was ready. Then I remembered my roommate had work in Beirut at 4pm. “Well, yes.” I explained, and the man was very understanding. He immediately called Aziz and after a quick conversation (“Yes, she’s here. She’s in a rush.”), hung up. He told me, “jai,” which means “he’s coming,” but provides no information on when. He and the teacher stepped outside to smoke, and we continued chatting. Ten minutes passed. A man and two women entered the room. They also had a meeting with Aziz. The teacher excused himself, and they sat. More coffee was served. An hour after our appointment, Aziz finally appeared. He apologized for his tardiness, and after assessing the situation whisked me up to his office for the interview, the other three assuring him they were fine to wait. We conducted the interview in Arabic, Aziz speaking rapidly, finishing half of his sentences with “ma heik”? We discussed his organization’s programming, the Ministry of Education’s accelerated learning program (ALP), curriculum, and challenges specific to Bar Elias, focusing on basic lack of capacity. We finished the interview in less than an hour, I thanked him, returned to my car, and picked up my roommates wandering through the town. We piled back into the Kia Picanto and headed back to Beirut.